Select your favourite Amazon websites. Welcome to the easiest way to save money shopping online! 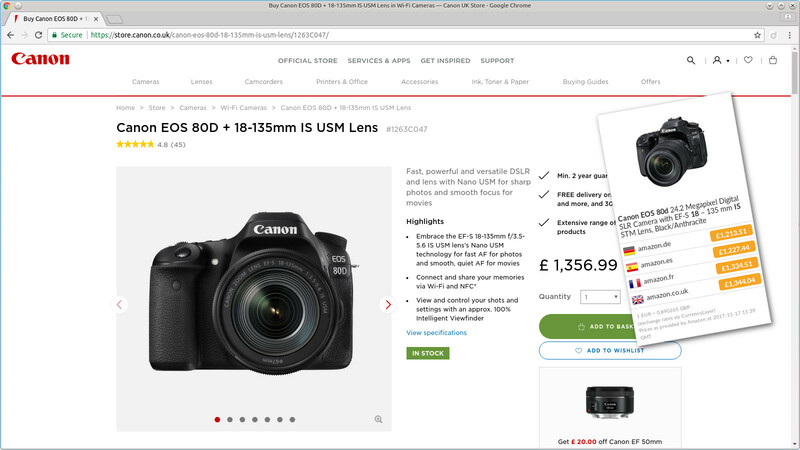 Imagine being able to browse any product on any shop online and be able to compare the prices in real time across multiple Amazon shops. 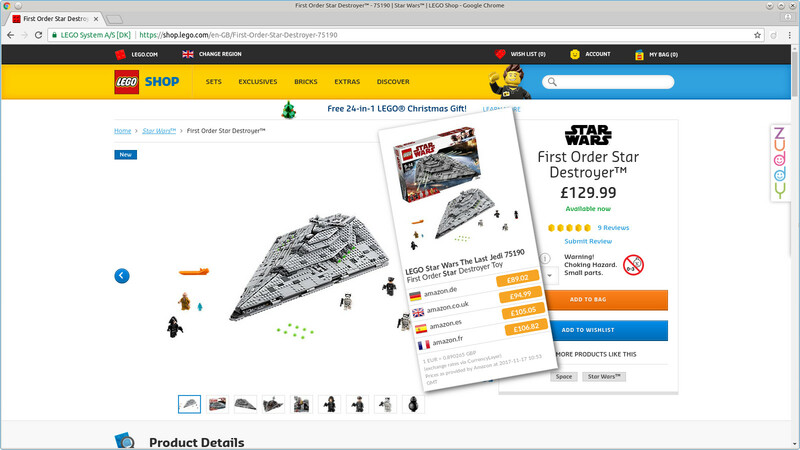 How about saving up to £40.97 on a Lego set? Zuddy is the easiest way to directly compare prices on Amazon.